Vilifying all underground art spaces is not the answer, artists argue. As officials scour over the last of the charred wreckage from the Oakland warehouse fire that killed at least 36 people, questions are mounting over the future of remaining underground art venues and live-work spaces in the Bay Area. Now, many artists and allies say they are fearful that these venues will soon face the harshest citywide crackdown yet, delivering another blow to an already devastated and tight-knit group of creators. For many, it could mean having to mourn while also searching for a new place to live. “Often times, there’s really nowhere else to go,” explained Joe Murphy, jewelry maker with deep ties to the art community. He said he was "heartbroken." The Oakland Ghost Ship warehouse, which functioned as a music venue, art gallery and living space without proper permits, was just one of many illegal sites serving the region’s artistic community. Similar countercultural hubs have provided outlets for emerging and low-income artists for decades, and, in more recent years, they’ve become lifelines for a community that is struggling under the constant threat of gentrification-related displacement. The existence of these venues in the Bay Area, especially within Oakland, is well documented, but Friday's tragedy propelled them to the forefront of national consciousness and placed them under intense scrutiny. As a result, city officials have found themselves in an unenviable position. Shutting down remaining collectives will reduce the stock of available shelters and displace an integral part of Oakland’s renowned arts culture. But turning a blind eye could prove deadly, as Friday’s inferno demonstrated. Many in the arts community are advocating for increased safety rather than displacement, and have said that pushing artists out of underground venues could backfire. Sarah Burke, an art curator and critic in Oakland, noted that displacing the artists “will only make the problem worse; will only drive these artists further underground and into more precarious living situations.” She proposed additional “support, resources and avenues” for creating safer venues and improving existing ones, a costly endeavor that will likely need the city's help to move forward. Others who lived in the Ghost Ship suddenly find themselves having to defend a lifestyle that, for years, has played a substantial role in making Oakland, San Francisco and Berkeley world-renowned creative hubs. "People have their ideas about the humans that enjoy free spaces, women's circles, recreational drugs, raves, even just meditation and communal living," said Rain Dove, an activist and model who lost a friend in the Ghost Ship. "However, the humans that are living in these things ARE HUMANS. They create beautiful art that you see every day, they bring peace to many broken hearts and minds, and they come together in the streets often to protect your civil liberties. They are a part of our community." Mayor Libby Schaaf has tried to assuage housing anxieties, reiterating her commitment to the arts on Sunday. A previously scheduled “major philanthropic investment” will be announced on Tuesday, her office said. Christopher Ray, a Bay Area native who named three different underground warehouses in which he lived over the last 10 years, is among those who are hopeful that venues will survive the fire. The outpouring of support stemming from online donation sites buoys his outlook, he said, adding that he overcame painful experiences because of similar alternative spaces. 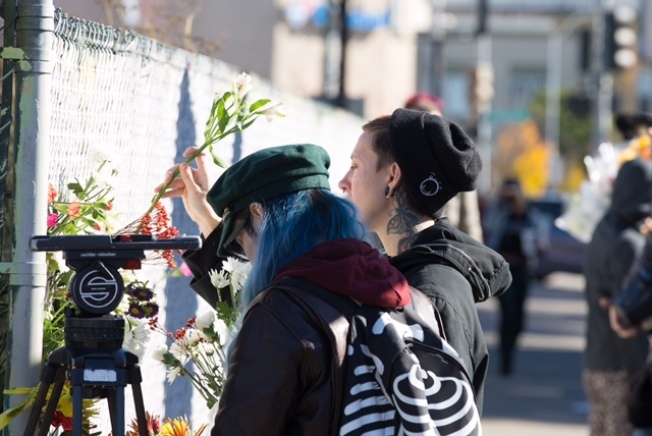 Residents of the burned Oakland warehouse, which housed art collective Satya Yuga, have said that they complained about dangers to the building’s leaseholder, Derick Ion Almena, but he didn’t take them seriously. One resident even called the space a “death trap.” As seen in photos taken before the fire, It was outfitted with makeshift walls, a now-infamous wooden staircase and masses of curios, tapestries, paintings and sculptures. City documents reveal that officials had previously visited, and noted that the space "looks very bad and creates health issue(s)." But Townley, who would like to see cities address the issue "holistically" cautioned writing off all underground, alternative spaces as dangerous. He recalled the huge loss of arts and culture Berkeley endured after arts collective Drayage, also located in an industrial warehouse, closed its doors, and is hoping he won’t see a repeat in neighboring Oakland. Gillian Edevane covers Contra Costa County for NBC Bay Area. You can email her at Gillian.Edevane@NBCuni.com, and you can donate to fundraising efforts for fire victims and their families here.